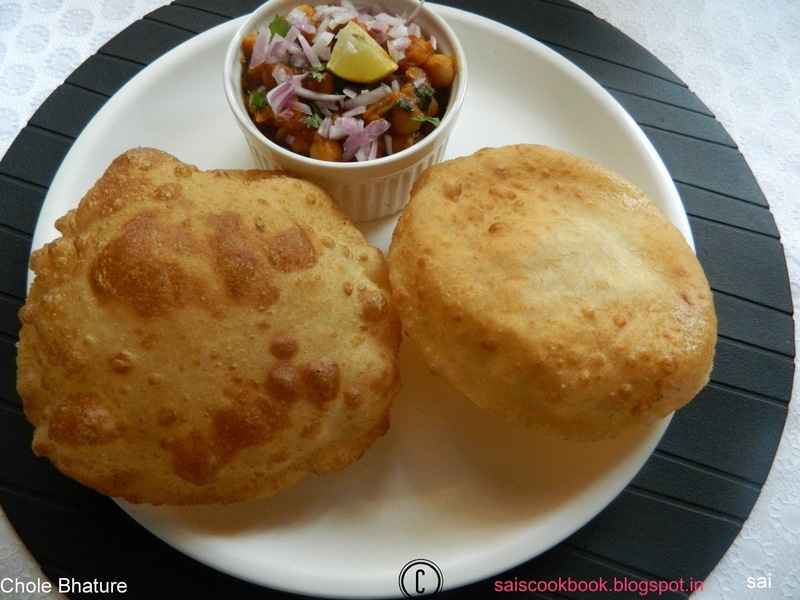 Bhatura reminds me of my collage days,where my friend Amitha used to get it in her tiffin for lunch along with Chole ofcourse and we friends used to gobble it up during the class hours.I took the recipe from Amitha’s mom and made my Amma also to prepare it and she did prepare it often after that.I used to relish Amitha s Moms cooking since I loved North Indian food and she was very good at that since they were in Delhi for a long time since her Dad was posted there, that’s the reason they had the influence of North Indian cooking at their place.Those were the days where very rarely such preparations was prepared in few houses especially in Mangalore, that’s what I believed and I may be wrong too.Coming back to the recipe I prepared Chole with the Bhatura a deadly combination and a finger licking dish too. 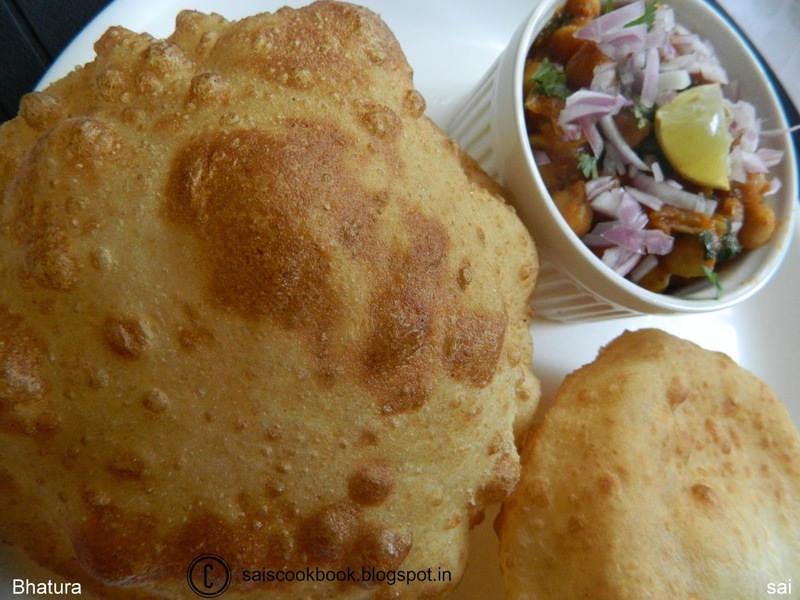 Chole Bhatura rocks in my list. Take a wide bowl and add curds,salt and sugar,mix it well. Add atta,maida and baking powder and knead it into a dough. Add water little by little,only as much as needed and make a medium firm dough,add 2 tsp oil and knead to a smooth dough. Close it with a damp cloth and keep it aside for 2 hours. Pinch balls from the dough,double the size of the lemon and roll it into a round disc around 5-6″ discs..
Heat oil in a frying pan,when it is smoking hot,drop the puris into the hot oil and press it with a perforated ladle ,once it puffs turn the puri to the opposite side and fry it until light brown in colour. Transfer the puris to a colander where a kitchen tissue is spread to drain the excess oil.